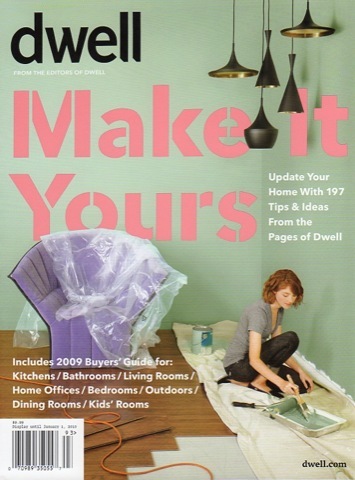 We were strolling Bloor Street and stopped by Book City and discovered a copy of Dwell’s “Make it yours” special issue ($9.99). It’s a look back at some of the most memorable homes in the recent years and a look behind the ideas that made each space unique. 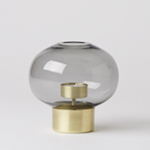 It’s essentially a compilation of some of the best decor ideas out there, with a complete buyers guide for kitchens, bathrooms, living rooms, home offices, bedrooms, outdoors, dining rooms, & kids’ rooms. We wanted to share some of our favorites with you! 1) Dan Hisel’s Z Box. 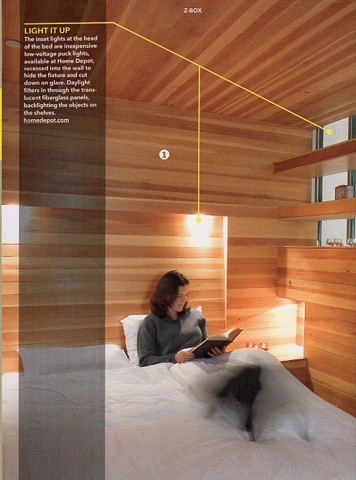 We loved the idea of “Sleeping cubes” as opposed to large bedrooms. This idea works well in loft style spaces, where there is a large communal living area, with several cozy cubes that are used only for sleeping. 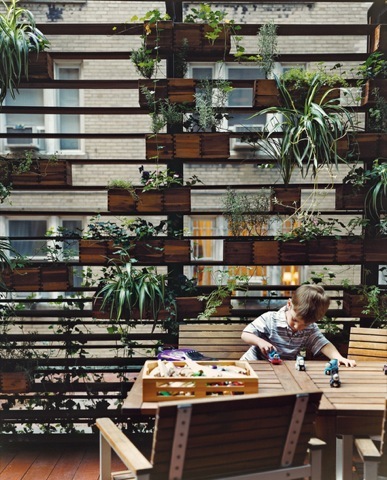 2) Zizmzor residence: “Green Screen” by Brad Zizmor & landscape designer Kari Katzander. A more affordable alternative to custom wooden planters was using acacia wooden boxes from IKEA. It seems that this could be a totally doable DIY green wall. 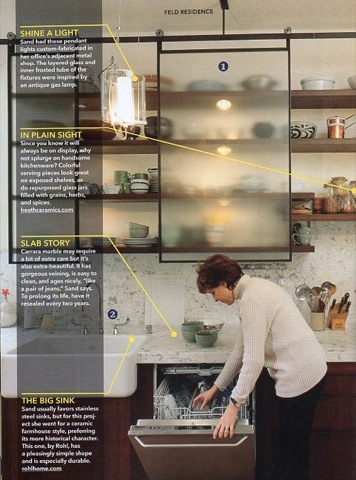 Feld Residence: Kitchen, by designer Larissa Sand. We love the look of these frosted glass sliding doors, they work perfectly with the floating shelves and provide some relief when they get a bit messy. The blue house, by Pieter Weijnen. 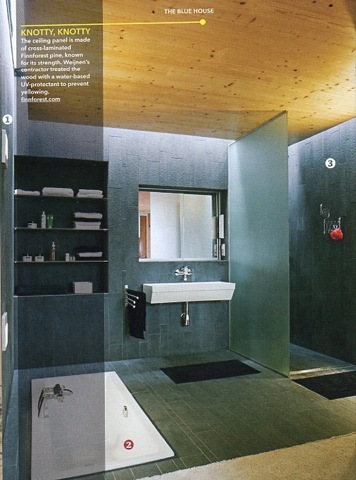 We love the Finnforest pine ceiling contrasted against these dark ceramic tiles and sunken bathtub. The best thing about this space is the skylights above the pine paneled ceiling bringing in natural light. Hiller Residence: living room. 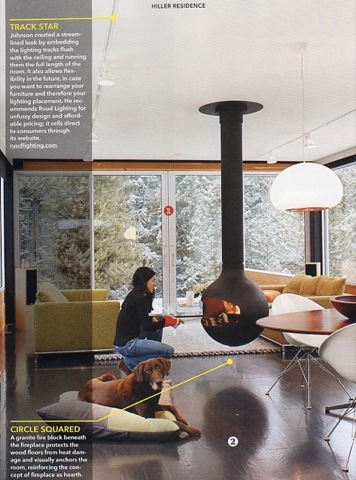 We love the large sliding glass doors that open to the great outdoors, but the best feature has got to be that Dominique Imbert designed fireplace.